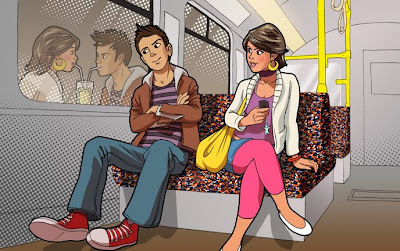 Two of the illustrations I created in 2007 for the dating service of the BVG (Berliner Verkehrsbetriebe). Recently, they wanted me to do a new one. 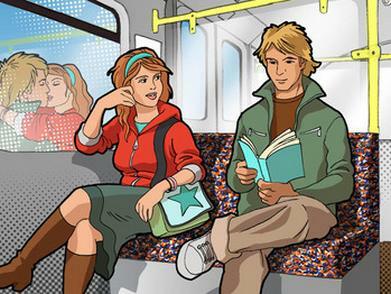 This time a lesbian couple. The approval is still pending. 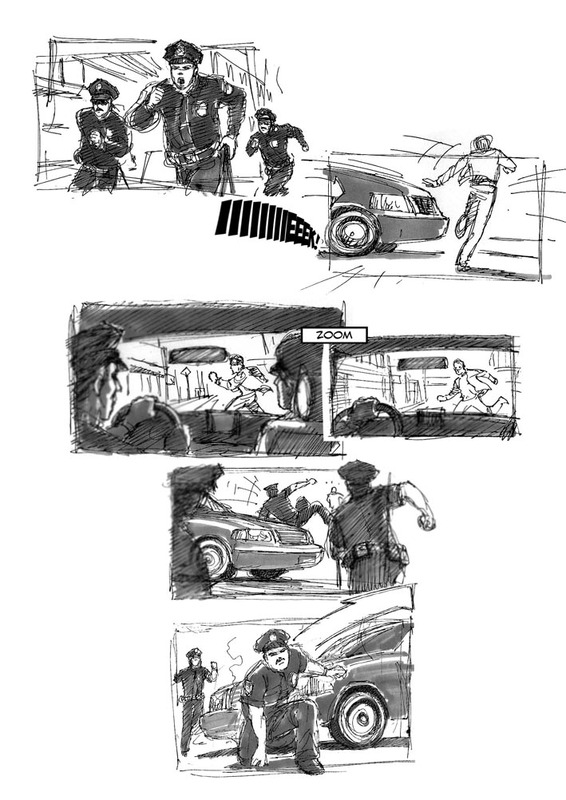 Here are some samples of my Storyboards for the TV spot Deichman - most wanted. We really wanted to get that feel of speed and action. 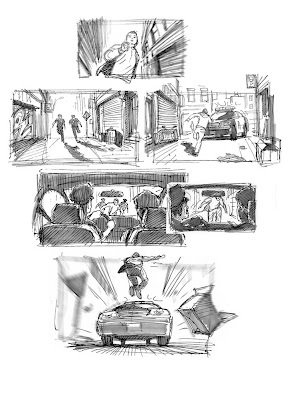 So the sketches are very rough and directly scribbled on the blank page with a permanent black ball pen. 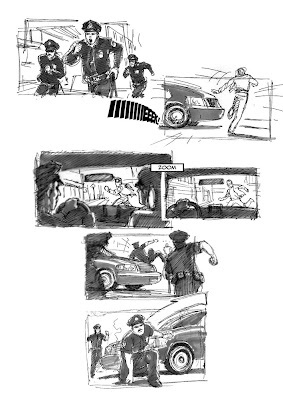 With clean drawings over pre-pencil-sketches I would have lost the energy of the somewhat iconic chase frames. You can watch the final film here on the Deichman site.